I love elephants. I love everything about them and I have always admired them, even more so since I read the book Leaving time by Jodi Picoult (you should read it). 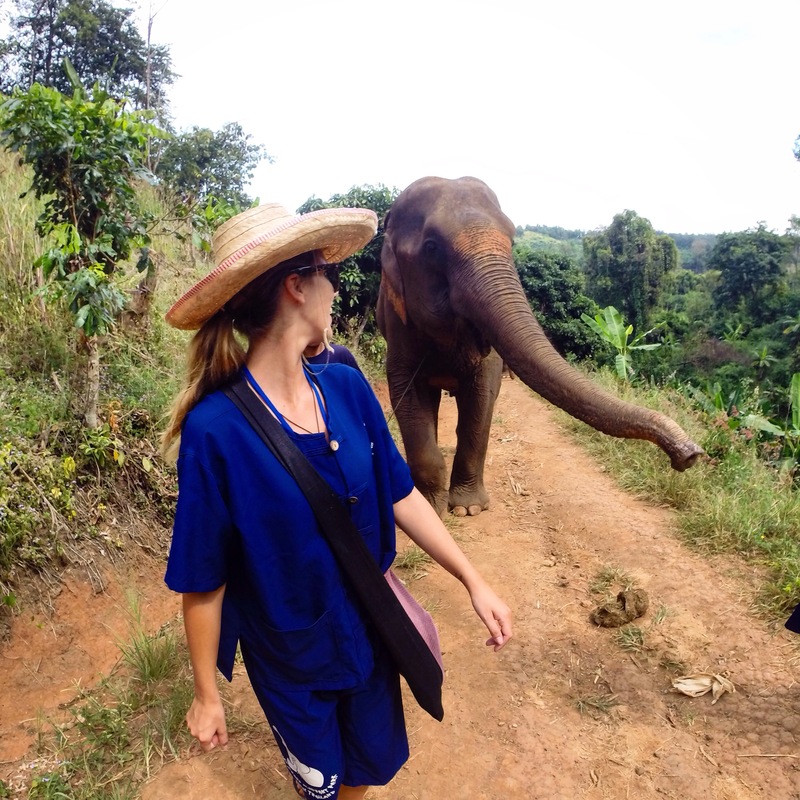 So when we decided we were going to Thailand, visiting an elephant sanctuary was high on my list. 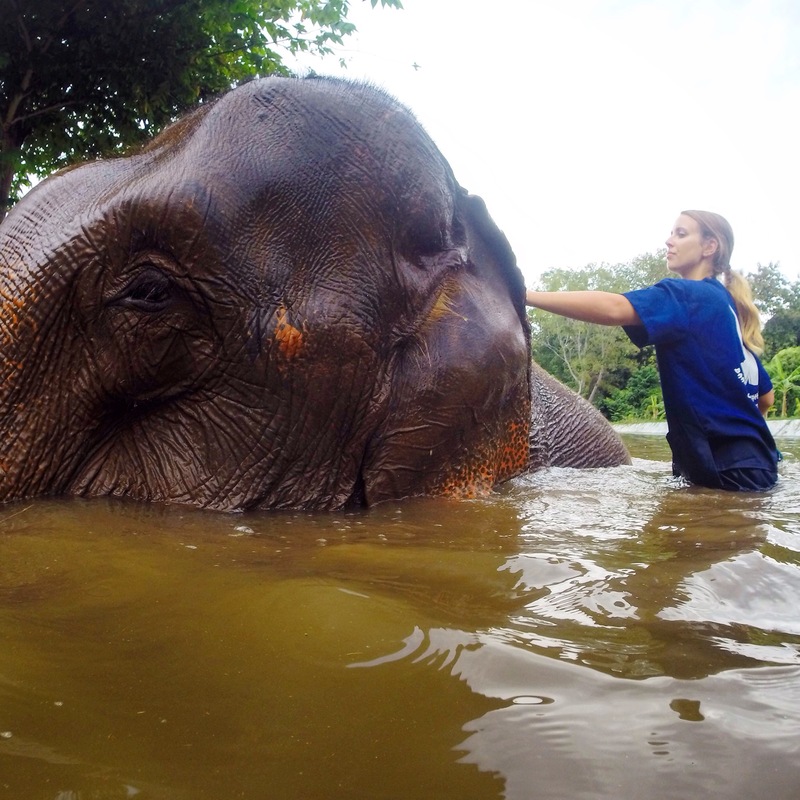 An astonishing 3,500 elephants are kept in captivity in Thailand and majority of them are treated very poorly. Overworked, malnourished, taken away from their families, beaten, chained and even fed amphetamines to keep them working longer are just a few of the awful things these captive elephants endure. That’s where the elephant sanctuaries come in to play and thankfully there are now plenty of them around. The sanctuaries rescue these poor animals and give them a chance to be happy, healthy and to live as freely as possible in a captive environment. 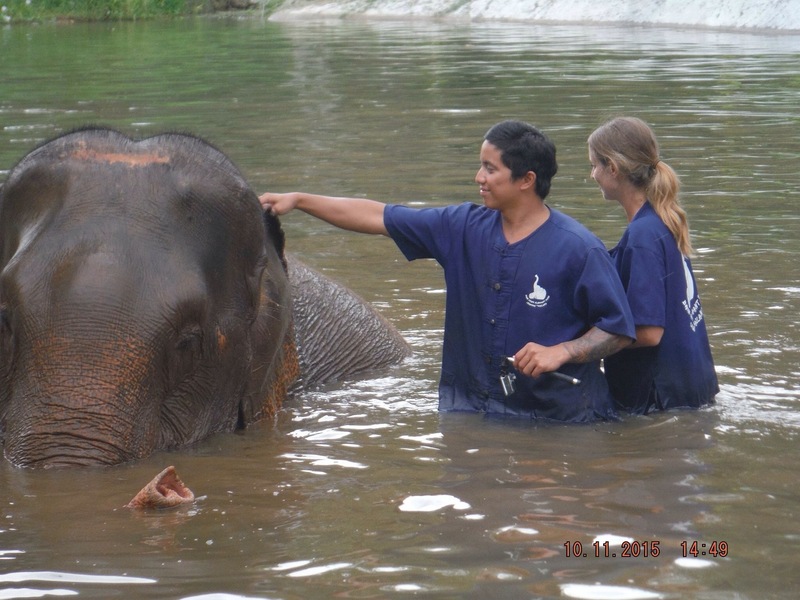 It was difficult to chose a sanctuary to visit as there are so many in Chiang Mai and they all vary in ethical practices and price. 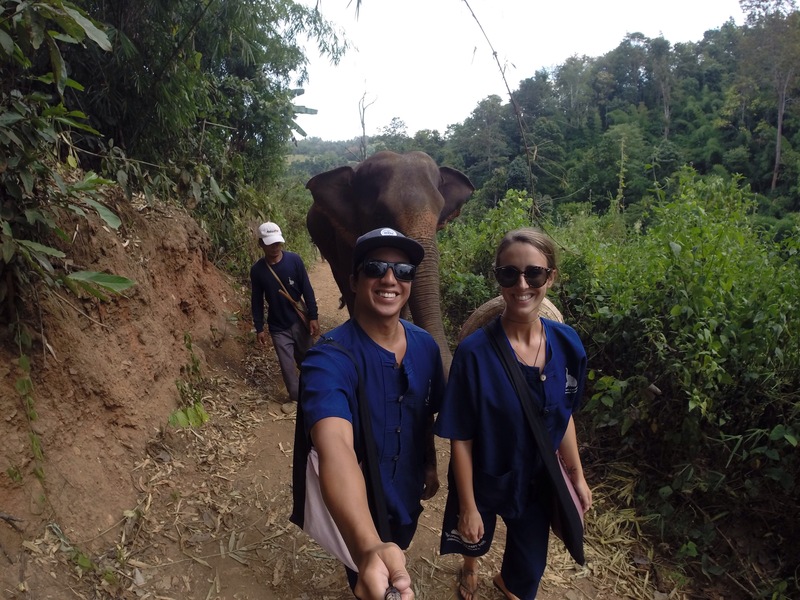 We decided to go with Baan Chang elephant park and do the tour called “a friend for the day”. 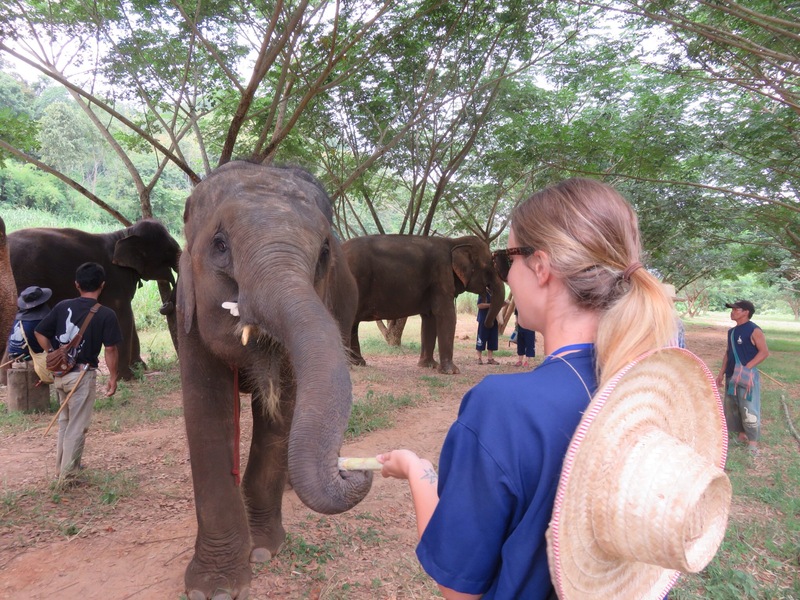 This tour fits in to a backpacker budget, involves hands on interactions with the elephants and you DO NOT ride them at any point. We were picked up at 8:30am and first taken to a place called Elephant poo poo paper. This is a very strange place and as the name suggests, it is a place where paper is made from elephant poo. They showed us the weird and kind of gross process (which included us being able to touch and smell the poo?) and then let us make our own paper. 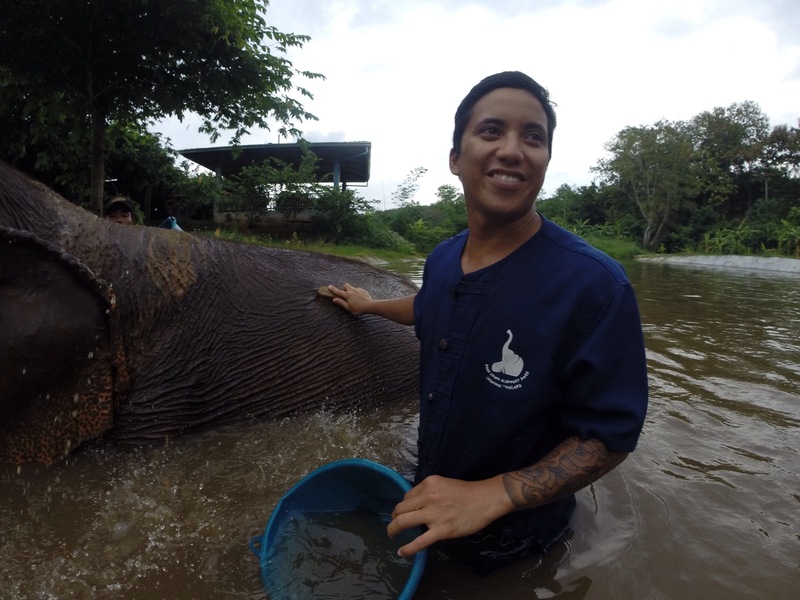 They trade bananas and sugar cane for the elephant poo with the elephant sanctuaries which I thought was pretty cool. Next up was the Elephant park. My breath was taken away when we drove up to the park and I caught my first glimpse of the beautiful, gentle giants. They were so much bigger up close. 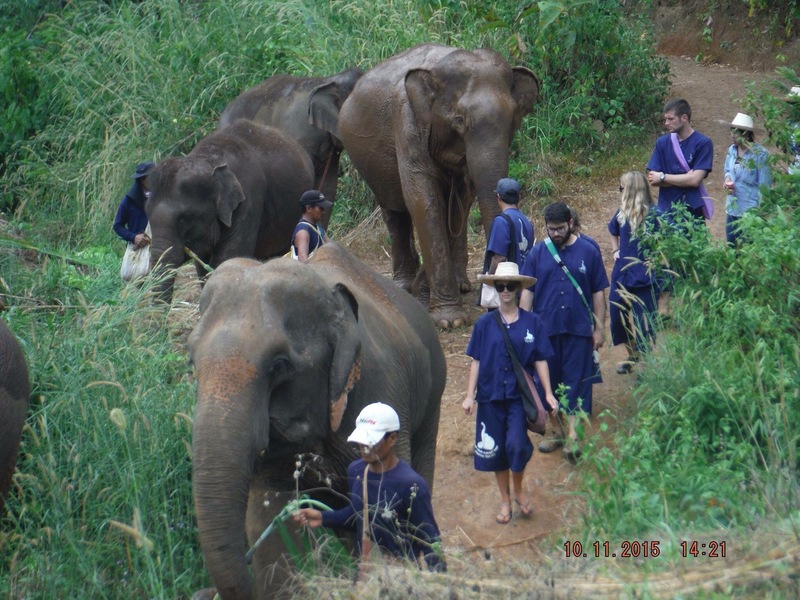 We were given a highly attractive (not) outfit to put on complete with a hat and bag filled with sugar cane and we were off on our way for a walk through the jungle with 5 huge elephants. I was really surprised when I found myself terrified of them to begin with. They were just so much bigger than I thought and everytime they put their trunk up to me I just imagined them hitting me with it. It wasn’t until I fed my first elephant a piece of sugarcane that I realised they really are just adorable, gentle giants. We walked about half an hour through the jungle whilst feeding them the whole way until we reached a little gazebo. We stopped for a rest. 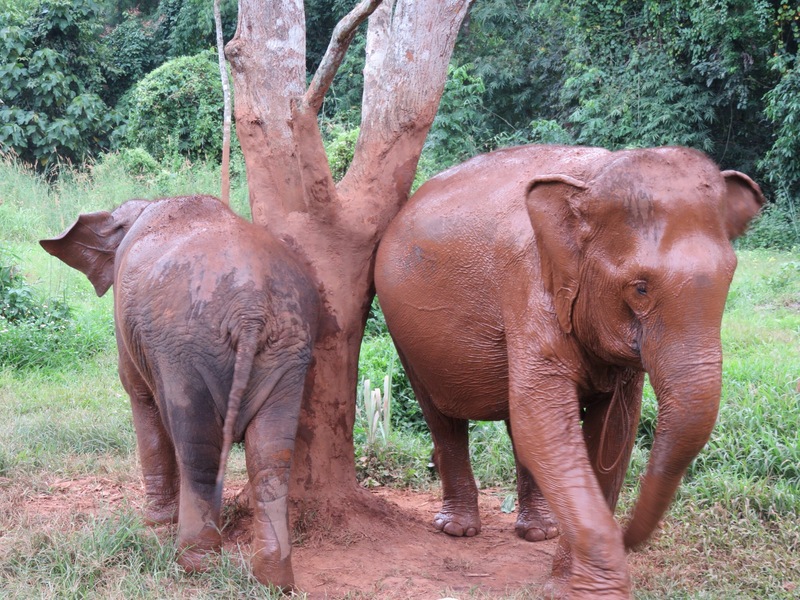 While we ate Pad Thai for lunch the elephants covered themselves in mud, scratched themselves silly on the trees and wandered off to knock down trees and find something to eat. It was so awesome and heart warming to see them happy and free, doing whatever they pleased. Soon after, they came back and started sticking their trunks into the gazebo trying to get food off us, it was so cute. 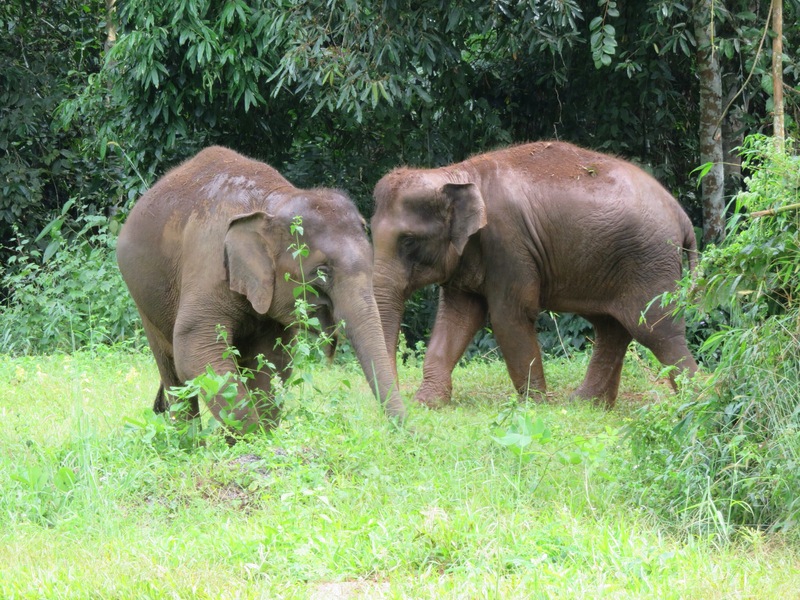 We fed them, patted them and watched them roam around for quite a while longer before walking back through the jungle. Now it was time to wash them! I was a little hesitant at first as the water had a lot of elephant poop floating in it and being the ‘germ-a-phobe’ I am this did not look appealing or hygienic in the slightest, but in the end I couldn’t resist. They were just so cute splashing around in the water! Tom and I had our own elephant who was so lovely and just sat there peacefully while we threw buckets of water on her and scrubbed her clean with a scrubbing brush. It was a lot of fun. It was now 3pm and sadly it was time to leave. After a group photo we said goodbye to the elephants, had a shower (thank goodness!) and jumped in the mini van back to Chiang Mai. This day was a real highlight for me. It was such an exciting, full filing experience and dream come true that I will never forget. If you are ever in Thailand I highly recommend doing this. These elephants need all the love and happiness they can get and your money will help to fund the elephant parks. Please, NEVER ride an elephant or go to an elephant show.